Isn't it usually in comic strips a typical gesture of a knocked out character to have the tongue just hanging out loosely? Check out this moose then. Actually the image was taken in a moose park. 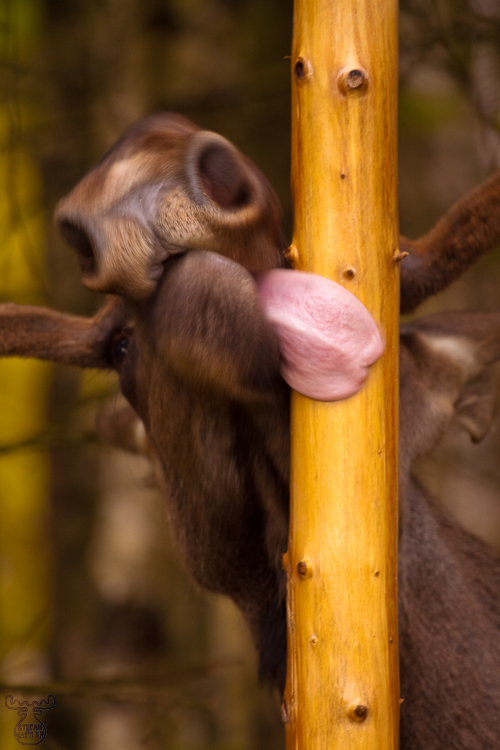 The pole originally had a salt-lick attached to the top. The rests of it very likely had been washed down by rain - a delicacy for this young bull moose. He licked for hours it seemed.